PAN HARMONIA's 19th Season of captivating chamber concerts opens in the new Carolina Music Museum in downtown Greenville. 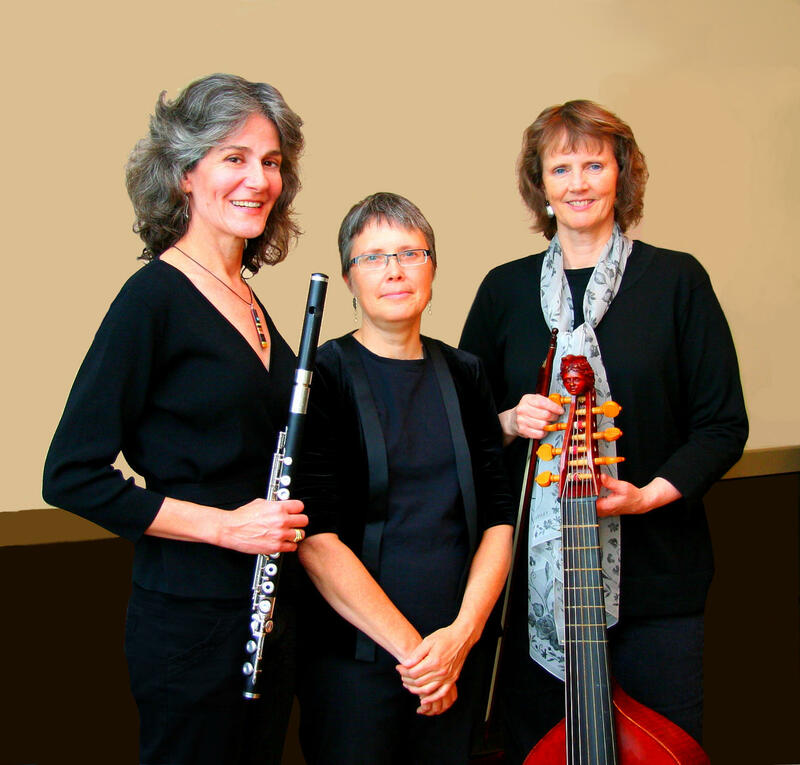 Flutist Kate Steinbeck performs with early music masters, Gail Ann Schroeder, viola da gamba, and Barbara Weiss, harpsichord. Music of JS Bach, GP Telemann and Wilhelmine von Bayreuth, older sister of Frederick the Great, Emperor pf Prussia. Wilhelmine, also known as Princess of Prussia, lived from 1709 until 1758, was a gifted composer and lutenist. Join us in the intimate performance space at the Carolina Music Museum, a venue perfectly suited to this award-winning group. By Phone: Call our office at (828) 254-7123 to place an order. Advance ticket sales $20 and end at 5:00 PM the day prior to each concert. Pan Harmonia, PO Box 18342, Asheville, NC 28814. Please be sure to include 7% NC Sales Tax for each ticket, i.e. a $20 ticket plus 7% tax = $21.40. At the Door: Subject to availability starting 30 minutes before each performance. $25 general/ $5 military and students with ID. Student tickets are intended for those under age 26. By the Website: Advance ticket sales $20 and end at 5:00 PM the day prior to each concert.